A long, long, time ago, when I was a kid and Alderaan was still a viable, though far away planet, wars raged on earth and in outer space. In outer space, The Empire blew Alderaan to smithereens and the war on earth finally ground to a halt. On earth, before the war, there were no product labels to advise consumers where a product was made or grown. On Alderaan no consumers survived. When Japanese businesses began exporting their manufactured goods they were so poorly made American legislators felt compelled to warn consumers of their shoddy construction. The method of warning was to require that a label stating the product was "made in Japan" be affixed to all items imported from Japan. In the sixty or so years since, things have changed. 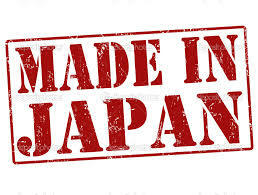 Now consumers know the Made in Japan label means quality and often they select items so marked over similar "made in the U.S.A." labeled products. What caused the shift? In a word, quality. In many cases we've traded quality for short term profits. When given a choice between quarterly earnings and integrity we more often than not go for earnings. W. Edwards Deming, a quality guru who took his message to Japan after the war, found an open and receptive audience in Japan. At home many businessmen gave Deming a lot of lip of service but little else. Today quality is the underlying key to the success of manufacturing and in outer space tiny fragments of what was once the thriving planet of Alderaan are now little more than road hazards in an obscure corner of the universe. There are a couple of lessons there for all who are willing to find them.